The modern restaurant industry is undergoing rapid change fueled by consumer demand for a better customer experience that is defined by their ability to order food and drink from their mobile phones and computers. Restaurants that are responding to this customer demand are seeing higher same-store growth rates and better margins. In the U.S., households spend more than $3,000 per year at restaurants, a figure that has been rising. Across the pond, the British, as a whole spend an equally sizeable £2,345 ($3,000) on restaurant and hotel bills. Millennials alone spend 44 percent of food dollars in eating out – representing $2,921 annually. In the U.S., Millennials also spend more generally than non-Millennials and by 2020 will make up 50 percent of the workforce. Given that millennials spend an enormous 90 hours per month on smartphone apps alone, the potential for the mobile pre-ordering industry is huge. By leveraging mobile and online ordering technology, restaurants can meet customer demands for convenience, grow revenue through significantly larger orders, increase brand loyalty and position themselves for long term success. The biggest names in the restaurant industry like McDonald’s, Chipotle, Panera Bread, Starbucks, Subway and others have all recently announced investments and aggressive plans for 2017 in online pre-ordering. As they demonstrate success, many other restaurants will follow in their footsteps. However, it will be important for them to have a solid strategy in place. Mobile technology provides a great opportunity to grow a business and satisfy customers, but it needs to be done right. It’s not just another channel or a fad that consumers will grow tired of or abandon. Like the drive-through, it is here to stay. To achieve the full potential that pre-order brings through mobile and online channels, we recommend restaurants consider the following suggestions. Embrace the idea that mobile and online ordering is part of your identity and not just a check-box effort. Enabling customers to interact with you digitally results in a wealth of data at your fingertips. Moreover, you should expect a mobile and online ordering solution to give you meaningful insights through intelligent analytics. This data will help improve your understanding of the operations of your own business as well as help you know and understand customers better. Your customers know you have their data and when you engage with them on a more personal basis they understand you are paying attention to them and they feel a connection. Your mobile ordering solution should give you insights into customers both at an individual level and at segment levels so you can target individuals and segments with personalized messages and marketing. For example, you may develop a segmentation strategy with demographic groups that receive specialized offers to encourage group usage. This might be a group of people who work in the same office, support the same sports team or have some other common interest. Consider other elements that can be digitized at the same time and how the different technologies can complement each other. How can mobile ordering be integrated with your existing gift card or loyalty programs? Rather than having a separate digital gift card, or loyalty solution, or worse yet a paper-based one, integrating these programs into mobile ordering will enable you to better offer personalized discounts and offers. For example, if one of your regular customers or high spenders doesn’t visit for a while, you can send them a personal message to encourage a return visit, with a special discount or gift card, applicable to their favorite item. Make sure your technology platform is future-proof. Customer demands evolve quickly and in unexpected ways. It is impossible to know that what customers want today from an online and mobile ordering solution will be the same in two years. That is why the solution you invest in needs to be reliable and robust today, but flexible enough to change to suit customer needs. Moreover, it needs to be scalable so that if your pre-order program takes off as you hope, it isn’t crippled by its own popularity. Businesses need to partner with a technology provider who is focused on mobile technology, has the industry insights to know what customers need and the technology-savvy to ensure that your pre-ordering technology can scale and change as the market evolves. The potential and growth of online and mobile ordering is enormous and restaurants are fully embracing it. Restaurants that want to compete need to see it as part of an industry transformation that customers are demanding, rather than viewing it as a passing trend or simply a supplementary sales channel. 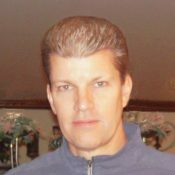 Thomas Kneubuehl has over 25 years of experience working with Fortune 500 and start-ups in sales, technology, and operations roles. Currently the EVP, North America at Preoday, he has held key management positions in five high-growth start-up companies, two of which have seen successful IPOs.